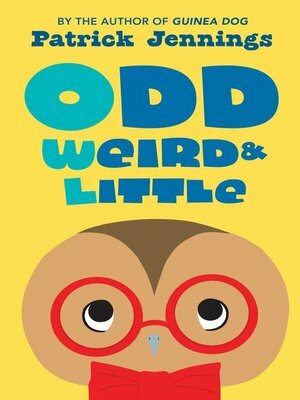 Readers will find this charming, funny, easy-to-read middle-grade novel from the beloved Patrick Jennings an absolute hoot! When the new kid joins his class, Woodrow agrees with his schoolmates—Toulouse is really weird. He's short—kindergarten short—dresses in a suit like a grandpa, has huge eyes, and barely says a word. But Woodrow isn't exactly Mr. Popularity. The frequent target of the class bully himself, he figures that maybe all Toulouse needs is a chance. And when the two are put together in gym to play volleyball, they make quite the team. Toulouse can serve, set, and spike like a pro. He really knows how to fly around the court. But when the attention and teasing switch back to Woodrow, he learns that the new kid is great at something else: being a friend.